St. Paul, Minn. – Volunteers of America-Minnesota (VOA-MN), a nonprofit health and human services organization, recently welcomed Macalester College American Studies Prof. Karin Aguilar-San Juan to its board of directors. Aguilar-San Juan is one of two new board members who will bring fresh perspectives and deep experience in restorative justice to an organization with a long history of helping ex-offenders and at-risk teens. 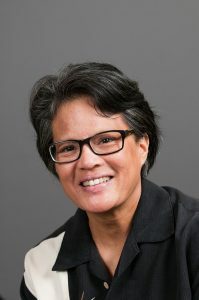 Aguilar-San Juan is a former member of the board of directors for Amicus, an agency specializing in support to those in prison, those leaving prison and youth involved in the justice system. Amicus merged with VOA-MN in April. VOA-MN’s history of work with prisoners and at-risk teens goes back to the prison visits of Volunteers of America’s co-founder Maud Booth in the 1890s. VOA-MN continues that tradition today with its operation of two residential reentry facilities for adults leaving prison as well as VOA-MN services that work with teens facing serious emotional and behavioral problems. The merger of Amicus with VOA-MN helps capitalize on the opportunities offered by working as a larger agency, creating a greater reach for the benefit of even more Minnesotans. Aguilar-San Juan is passionate voice in the work of racial and social justice, having become affiliated with Amicus when she taught a seminar on schools and prisons and learned that some of her students were interning at the agency. For the last eight years, Aguilar-San Juan has led a class on the “school to prison pipeline,” introducing over 150 students to the idea that education system responses to cultural conflicts and discipline issues often push young people along the path toward justice system involvement. She is a former member of the South End Press book publishing collective, and a former editor/production manager of Dollars & Sense magazine. She has studied Japanese and Chinese martial arts since 1986. Volunteers of America-Minnesota is an independent 501(c)(3) nonprofit health and human services organization whose mission is to help people gain self-reliance, dignity and hope. VOA-MN has served Minnesota since 1896 and has grown to be one of the largest and most comprehensive nonprofit organizations in the state. Each year, their wide variety of programs uplift more than 26,000 children, youth and families, seniors, people with special needs, and adults completing community reentry programs. VOA-MN is affiliated with Volunteers of America, a national, faith-based organization that helps more than two million people annually live healthy, productive lives and reach their full potential. For more information visit voamn.org.